It’s Christmas season at Hello Pal! How do you celebrate the holidays in your country? Share pictures showing your Christmas celebrations, decorations, sceneries, etc. through moments. Those who shared the best moments will receive special prizes! We’re giving away prizes to up to three (3) winners daily from Dec. 20-31, 2018. Also, at the end of the contest period (Dec. 31), we will give an EXTRA SPECIAL PRIZE to TEN (10) lucky winners! 2. Share your pictures through a Moments post (include at least 3 pictures). You must use your own original photos. 3. Add a description or caption – feel free to write in your own language. 4. Tag your posts with the “Christmas Contest” and “Entertainment” tags. YOU MUST CHOOSE BOTH TAGS. 5. You may post more than once during the contest period, but the content must be different from your previous post. Posts with the same content will only be counted as one entry for the entire contest. At the end of each day (from Dec. 20-31, 2018), we will find the TOP 3 posts that received the most Gifts and give prizes to the authors of those posts. Each day’s list of winners will be posted in the Hello Pal app through our official Moments account (ID 10001) and in Discover > Hello Pal News the following day. 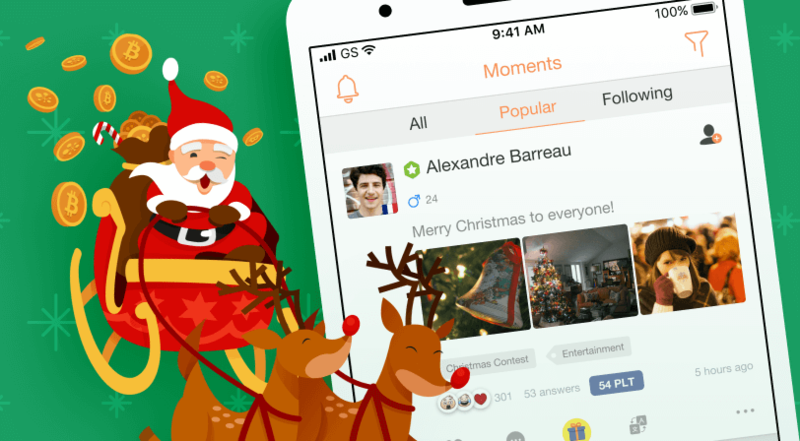 At the end of the contest period (Dec. 31, 2018), we will hand-pick the TOP 10 users who shared the best Christmas Moments. The 10 winners will be selected based on their post’s content and the gifts, likes and comments they received. The list of grand prize winners will be posted in the Hello Pal app through our official Moments account (ID 10001) and in Discover > Hello Pal News on Jan. 4, 2019. All prizes will be sent as Red Packets through our “Hello Pal Payments” (ID 1188) account on Jan. 4, 2019. The winners must press the “Accept” button for their prize Red Packet within FIVE (5) DAYS from when they received our Red Packet message. Once the Red Packet expires, you cannot claim your prize anymore. If you have questions or you need help with any problem, please feel free to email us at support@hellopal.com.